In March 2000 we won 1-0 at Wrexham with an Andy Payton goal and three weeks later Steve Davis and Payton scored to give us a 2-1 win at Ninian Park against Cardiff. It’s been a long time, but that was the last time we won a game in Wales. We haven’t played at Wrexham since but at Cardiff we’ve played a further eleven times, drawing three and losing eight, while at Swansea it is one draw and four defeats. That’s an awful record and one that we need to start improving. 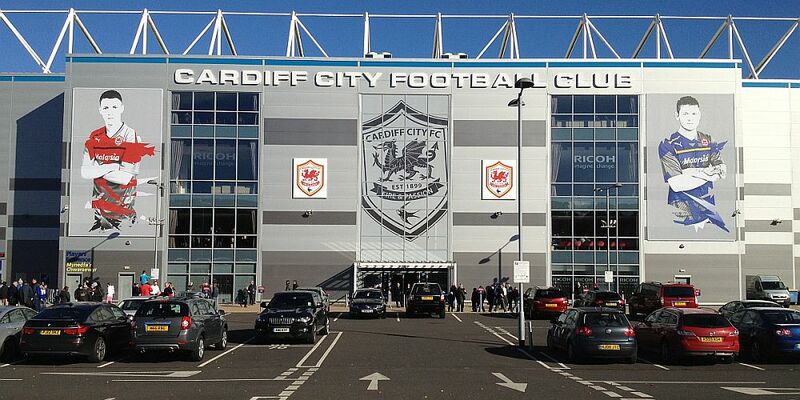 All three of the draws at Cardiff have come since they moved to the Cardiff City Stadium. We drew 1-1 in 2010/11, equalising with a late goal from former Cardiff striker Steven Thompson. It was 0-0 in the following season although we also lost their 1-0 in an appalling performance in the League Cup. 2012/13 season saw us humbled 4-0 in front of Sean Dyche who was just about to become our manager and in November 2015 we came from two behind to draw 2-2 as you will see below. A win would be a timely one, not just to banish that awful run without a win in the country, but also to add to that win last week, keep us moving up the table, and it would also give us our first away Premier League win since the 2-1 success at Watford last season. Burnley will, of course, still be without the services of goalkeeper Nick Pope, Ben Gibson and Robbie Brady although he is edging ever closer to a return and could be in the squad for next week’s home game against Huddersfield. We will no longer be without the services of Steven Defour. He played almost an hour in the under-23s a week last Monday, featured in another game at the training ground and then made his return to the first team at Burton on Tuesday when he played virtually the whole of the game. He’s in the squad that has travelled to Wales and is available although I suspect he might have to wait a short while longer to get his first Premier League start of the season. Dyche confirmed last week that he’d asked his players to give him a performance that would ensure they weren’t dropped. They gave him that so I expect there is every chance we will line up with the same eleven. It could be: Joe Hart, Matt Lowton, James Tarkowski, Ben Mee, Charlie Taylor, Jόhann Berg Guðmundsson, Ashley Westwood, Jack Cork, Aaron Lennon, Matěj Vydra, Sam Vokes. Subs from: Tom Heaton, Phil Bardsley, Kevin Long, Stephen Ward, Steven Defour, Jeff Hendrick, Dwight McNeil, Ashley Barnes, Chris Wood. Cardiff had a terrific 2017/18 season. Having hovered close to the relegation zone during the previous season before finishing 12th, they went on to finish in second place behind Wolves, probably as unexpected a promotion as was ours in 2013/14. Like us, they’ve found it difficult in what is only their second season in the top flight since 1962, the other coming in 2013/14. They are currently off the bottom due to a better goal difference than Huddersfield having won two points from two draws in their opening six games. Having lost at Bournemouth on the opening day of the season, they drew the next two at home to Newcastle and at Huddersfield before losing the last three although they have been against Arsenal, Chelsea and Manchester City. Their three goals have come in those fixtures. They scored twice against Arsenal, losing 3-2 and then netted at Chelsea in a 4-1 defeat. Sol Bamba got that goal and gave them the lead and they were unlucky not to score again before Chelsea got back at them. Last week they were beaten 5-0 at home by Manchester City but we all know that if City opt to turn it on like that there is little most clubs in the Premier League can do about it. This City team have already hit six in a game this season, against Huddersfield, and in last season’s title winning season they scored four or more on no less than ten occasions. Cardiff will need to make at least one change to last week’s team. Lee Peltier (pictured above) dislocated a shoulder and has been ruled out for up to three months. They will also be without Aron Gunnarsson who is currently sidelined with a knee injury. However, there is good news regarding Bamba who could return from injury. Cardiff’s team against Manchester City was: Neil Etheridge, Lee Peltier (Jazz Richards), Bruno Ecuele Manga, Sean Morrison, Greg Cunningham, Joe Ralls, Harry Arter, Victor Camarasa, Junior Hoilett (Josh Murphy), Bobby Reid, Danny Ward (Kenneth Zohore). Subs not used: Brian Murphy, Sol Bamba, Joe Bennett, Callum Paterson. What do I remember about our last visit to Cardiff? It was the worst pub stop of the season, we won’t be going there tomorrow, the rain was torrential, we were done by shocking referee Darren Drysdale but, against all the odds, we came back to earn a point with two late goals. It was also an afternoon of firsts and lasts for two strikers. Chris Long got his first Burnley league start; it proved to be his last, while Rouwen Hennings scored his first Burnley league goal, and that was his last too. For the first 25 minutes or so we offered precious little and could count ourselves fortunate not to fall behind. But eventually we got ourselves into the game and twice George Boyd was really unfortunate. HIs first effort was blocked on the line by Matthew Connolly but his second was tipped over by defender Lee Peltier with referee Drysdale, incredibly, not awarding a penalty. Peltier should have been red carded too, but this dreadful official actually awarded a goal kick. Embed from Getty ImagesThe inevitable happened. Three minutes later we were behind and when Cardiff scored a second just past the hour it looked all over. Aron Gunnarsson had scored their first with Sean Morrison getting the second. We looked beaten and Sean Dyche gave everyone a lift, bringing on Dean Marney for his first action in the first team since suffering a cruciate ligament injury earlier in the year but it was the introduction of Hennings that helped change things. He looked good and with five minutes to go, he took the ball with his back to goal, turned well and hit a left foot shot into the corner. At least we’d got a consolation goal, or so we thought, but deep into stoppage time we got a free kick. Tom Heaton took it but they headed it out with Marney picking it up. Marney’s ball in was headed by Michael Keane. It was going wide but Connolly deflected it into his own goal and we’d got a point from a 2-2 draw. It kept us in fifth place in the league. Burnley: Tom Heaton, Tendayi Darikwa, Michael Duff, Michael Keane, Ben Mee, George Boyd, Joey Barton, David Jones (Dean Marney 67), Scott Arfield (Rouwen Hennings 76), Andre Gray, Chris Long (Matt Taylor 56). Subs not used: Matt Gilks, Matt Lowton, Stephen Ward, Michael Kightly.